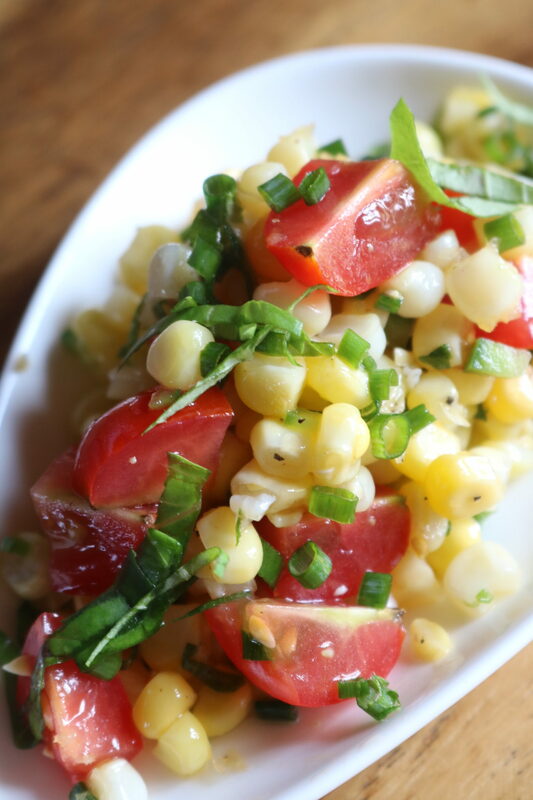 We’re savoring the final long summer days and fresh, seasonal ingredients with our Summer Corn Salad tonight! Whisk together olive oil, rice wine vinegar, and salt in a small mixing bowl. Add the corn, tomatoes, minced jalapeño, basil chiffonade, and chives. Fold until evenly dressed. Taste for seasoning. Too with freshly grated Parmesan. Enjoy!